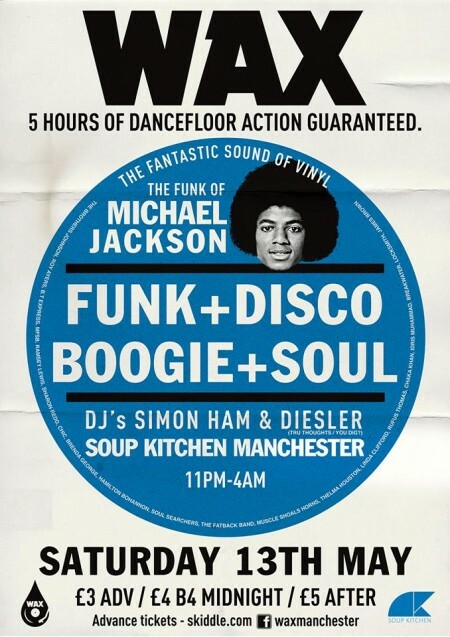 Very excited to announce I will be heading back to SOUP KITCHEN, MANCHESTER for the first time in over a year to play at their FUNK & DISCO night entitled WAX – and you’ll never guess what?… It’s a MICHAEL JACKSON SPECIAL!! I’ll be stepping up to the decks with WAX resident SIMON HAM to bring a mix of 5 hours of music from the KING OF POP, his famous COLLABORATIONS & works by his FRIENDS & FAMILY. 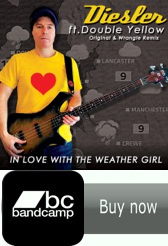 Doors open @ 11PM and advance tickets are available now via SKIDDLE! !